BaoCaretm brings you skincare solutions that are 100% natural, free of artificial additives and expertly formulated to harness the natural synergy of all the ingredients. When it comes to keeping your skin healthy, BaoCaretm delivers results you can see for yourself. BaoCare Radiance works brilliantly for eye makeup removal! 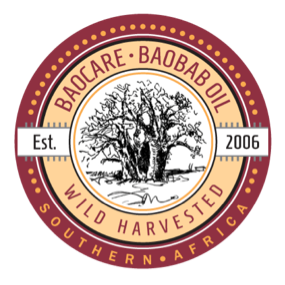 Baobab oil absorbs quickly and is clinically proven to deeply hydrate & moisturise your skin without clogging pores. With its light, natural, slightly nutty scent, this rich amber-golden oil is suitable for those sensitive to added fragrance. Baobab oil absorbs quickly and is clinically proven to deeply hydrate & moisturise your skin without clogging pores. Baobab oil absorbs quickly and is clinically proven to deeply hydrate & moisturise your skin without clogging pores. With its light, natural, slightly nutty scent, this rich amber-golden oil is suitable for those sensitive to added fragrance. May be used to moisturise face & body. It’s also excellent for nails and cuticles. Add a few drops to your conditioner to soften your hair. For those times when your skin needs extra attention and care. With its light, subtle fragrance, and enriched with Vitamin E, this tissue oil is especially formulated as a deeply nourishing oil for very dry skin, scarring and stretch marks. For those times when your skin needs extra attention and care. With its light, subtle fragrance, and enriched with Vitamin E, this tissue oil is especially formulated. For those times when your skin needs extra attention and care. With its light, subtle fragrance, and enriched with Vitamin E, this tissue oil is especially formulated as a deeply nourishing oil for very dry skin, scarring and stretch marks. Rapidly absorbed, baobab oil is clinically proven to hydrate & moisturise and is excellent for stabilising skin metabolism. Your skin will drink in this rich and luxurious blend of oils especially formulated for face, neck and hands. Baobab deeply moisturises, while Jojoba increases elasticity and softens skin. Your skin will drink in this rich and luxurious blend of oils especially formulated for face, neck and hands. Your skin will drink in this rich and luxurious blend of oils especially formulated for face, neck and hands. Baobab deeply moisturises, while Jojoba increases elasticity and softens skin. Pomegranate extract protects against damage from UV light, promotes collagen synthesis and skin repair. Combined with a delicate fragrance, this sumptuous blend enhances the radiance and natural beauty of your skin. Baobab oil on its own is helpful for problem teenage skin as it’s well established that acne responds well to regular and deep hydration. We’ve added a synergistic combination of Tea Tree, Calendula and Evening Primrose for their anti-microbial properties. Baobab oil on its own is helpful for problem teenage skin as it’s well established that acne responds well to regular and deep hydration. Baobab oil on its own is helpful for problem teenage skin as it’s well established that acne responds well to regular and deep hydration. We’ve added a synergistic combination of Tea Tree, Calendula and Evening Primrose for their anti-microbial properties. With its fresh clean fragrance, this skincare formulation contains high levels of linoleic acid, known to help balance sebum production in oily skin. If you suffer from dry, red, itchy and flaky skin, you’ll know your skin needs soothing and calming. We’ve boosted Baobab oil’s natural anti-inflammatory properties with Calendula and Schizandra, both excellent for stressed, sensitive and hyper-reactive skin. If you suffer from dry, red, itchy and flaky skin, you’ll know your skin needs soothing and calming. We’ve boosted Baobab oil’s natural anti-inflammatory properties. If you suffer from dry, red, itchy and flaky skin, you’ll know your skin needs soothing and calming. We’ve boosted Baobab oil’s natural anti-inflammatory properties with Calendula and Schizandra, both excellent for stressed, sensitive and hyper-reactive skin. Together, these ingredients offer gentle yet potent relief for irritated and inflamed skin conditions associated with eczema or dry psoriasis. All our products are certified cruelty-free, community-friendly, suitable for vegans and safe for use in pregnancy. Our in-depth research on the science behind our ingredients, together with our expert formulations, create products which deliver the BaoCare Promise. Part of our promise is also a commitment to a Culture of Caring via the Baobab Foundation: caring for the environment, the future of baobab trees as well as our communities. We see this as the wisdom of caring for the next generation.